Does anyone actually know the words to Auld Lang Syne? Can’t say I do. Chances are, come midnight on New Year’s Eve I’ll be delivering a wildly atonal and fractured interpretation in chorus with the melee; if I’m lucky, collective inebriation will grant me respite for another year. 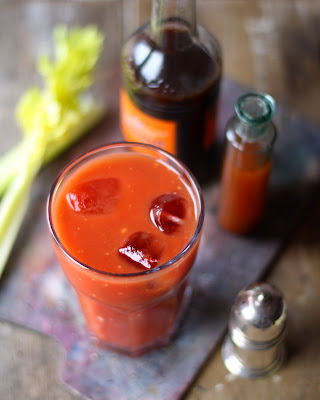 A Bloody Maria is nearly identical to a Bloody Mary; with exception to tequila and lime, which replace the vodka and lemon. Perfect for (what is perenially) a dishevelled start to the year's proceedings. and serve with a celery stick. Oh my! We shall be trying this come midday!